Think finding the Best SUP Board For Beginners is a challenge. Think again! Here is our rundown of the best SUPs for newbies. If you’re new to stand up paddleboarding (SUP), you may be overwhelmed with the choices of boards available. From traditional carbon/foam boards to lightweight, inflatable options, the type of SUP board you choose will ultimately depend on your lifestyle, budget, and personal preference. 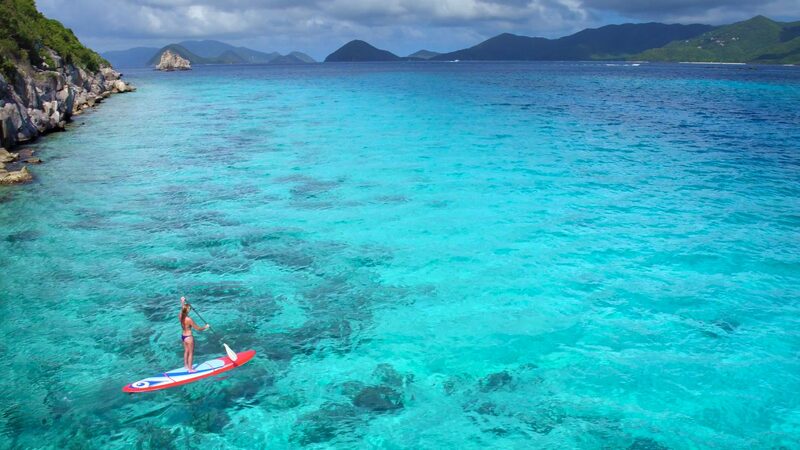 Paddle boarding delivers a full-body workout, as well as a soothing way to relax in the water. With the right board, you can comfortably explore the waters around you while taking in the amazing scenery. To get started with SUP, you’ll need a few key pieces of equipment – most importantly your board. Not sure which board is best for you? 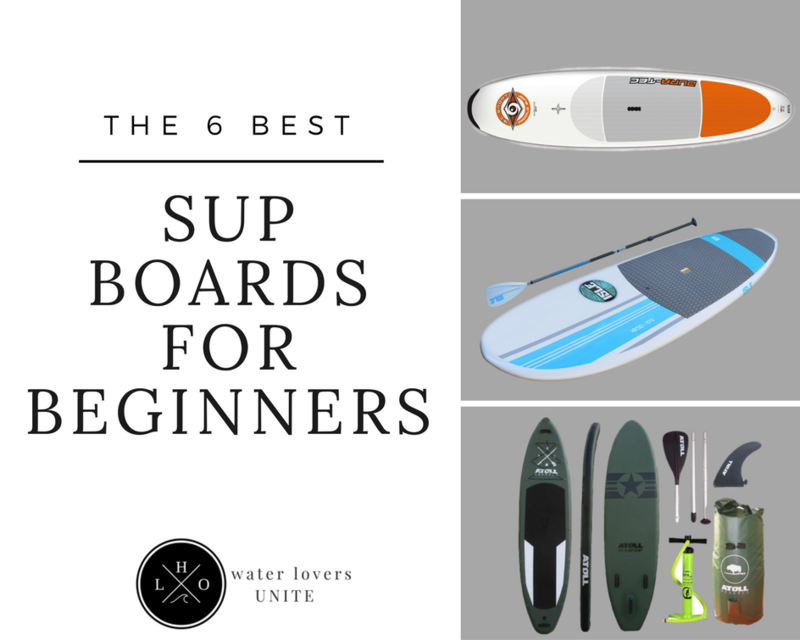 Here’s a look at some high-quality, versatile SUP boards, as well as information on what makes the best SUP board for beginners. Hull Type: There are two basic hull types that play a major role in how the board performs. A planning hall is great for beginners as they tend to be the most stable. Displacement hulls have pointed ends that slice through the water quickly but can tip more easily. Weight Capacity: Each SUP board has a designated weight capacity. Do not exceed this weight capacity as it will force your body to ride lower in the water, making it more difficult to paddle. Board Length: The length of your board is also very important. If you want to ride waves in the ocean, you’ll need a different length board then if you’re racing on calm waters. Core Material: There are several options for core material, including EPS foam, hollow core, polyurethane foam, and inflatables. Each has its own set of pros and cons and will perform differently in the water. 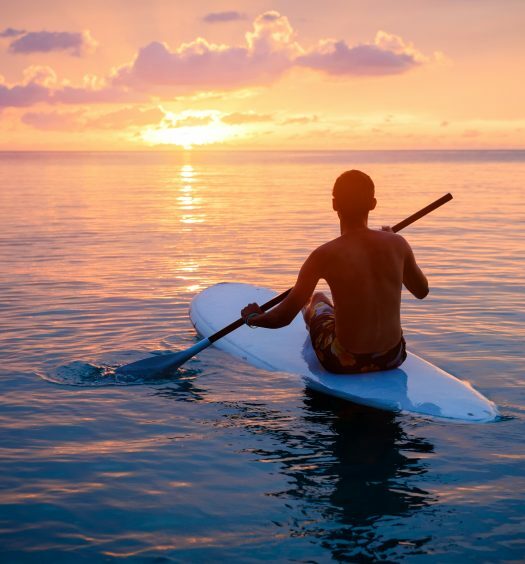 Stand up paddle boards are available in a variety of types and styles. If you’re in search of a quality, hard-wearing board, check out the BIC Sport Dura-tec Original Stand Up Paddleboard. Available in a wide selection of sizes and colors, the BIC board offers the perfect balance of thickness and width, made even better with its exceptional durability. 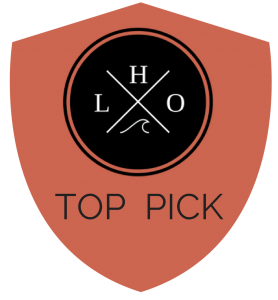 The board features a classic longboard shape which promotes better balance and stability. What makes it the best SUP board for beginners is its affordability and ease of use. An integrated deck pad provides comfort to the user, and the built-in ergonomic carry handle makes the board easy to transport. 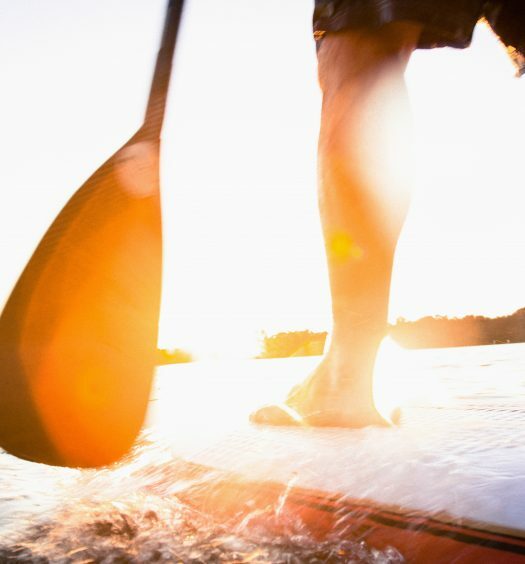 The right board can make all the difference when paddleboarding. 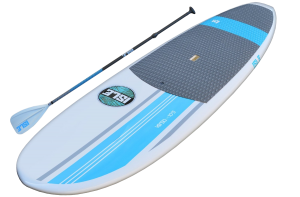 The Isle 10’5 Versa SUP is adjustable and extremely durable. This board can support users up to 275 lbs. and includes a traction pad, adjustable carbon shaft, plastic blade paddle, and center fin. 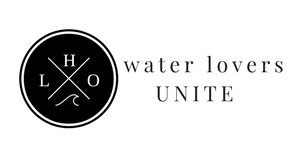 Constructed of lightweight epoxy, the board is both durable and stylish. What makes the Isle board the best SUP board for beginners is its versatility. With its all around shape, it can be used for paddle boarding yoga, fishing, surfing, or carrying children. It is specifically designed to suit paddlers at all skill levels, making it the perfect beginner’s board. The next best SUP board for beginners features a stylish pattern and several extras. The California Board Company 10’6 SUP is a 10 foot, 6 inch stand up paddle board set with bungee. The great beginner set comes with everything you need to set off for the water, including an adjustable SUP paddle, surf leash, neoprene padded ankle strap, instant padded roof racks, roof shield, and bungee set up. Constructed of high density EPS foam, the board features a 100 percent waterproof core and instant padded roof rack that makes it quick and easy to strap your board to nearly any vehicle. 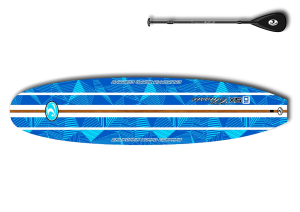 The board also has an adjustable SUP paddle with an exclusive blade shield that adjusts from 63 inches to 83 inches. If you’re looking to spend your summer in the water, you’ll need a high performance board. The Peak Inflatable SUP set has everything you need as a beginner. The inflated 10’6 by 31 inch by 6 inch board weighs just 23 lbs. and is suitable for all skill levels and conditions. The great beginner’s set includes the inflatable board, paddle, carry back pack, high pressure pump, and coil leash. With its tough 6 inch military-grade construction, you won’t have to worry about your board getting damaged while in the water. The board also comes with a 30 day money back guarantee and one year warranty. If you’re in search of the most stable inflatable standup paddle board, you’ve found it. 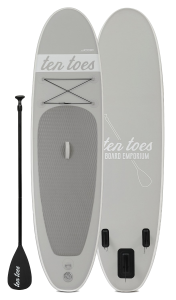 The Ten Toes 10’ iSUP Inflatable Standup Paddleboard features military-grade PVC, making it nearly indestructible. Measuring 10 foot by 30 inches by 6 inches, the inflated board is large enough to hold most paddlers, while light enough for easy travel. 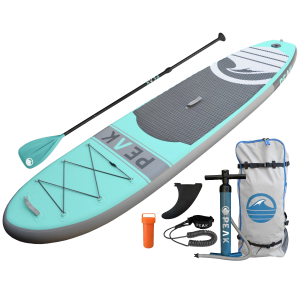 This SUP bundle comes with the iSUP, 3-piece adjustable and lightweight aluminum paddle, manual pump, three fins, and a repair kit. There is also a one year warranty with your purchase. Love this SUP, did my research! If you’re completely new to paddleboarding, you may be wondering how to choose the best SUP board for beginners. The right choice is all in the features. 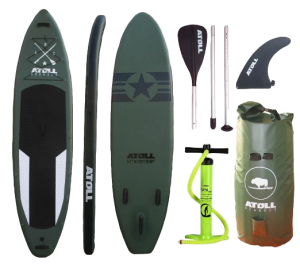 The Atoll 11’0” Foot Inflatable Stand Up Paddle Board is an excellent board for novice paddlers due to its ulta-lightweight construction, high pressure bravo dual action, and versatility. The SUP set comes with all the essentials, including a 2nd Generation Aluminum Adjustable 3-Piece Paddle with nylon blade and detachable fin. The backpack carry bag also doubles as a dry bad, large enough to accommodate the pump, paddle board, paddle, and repair kit.